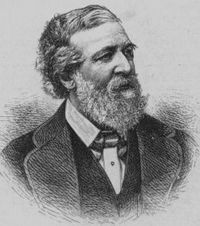 Robert Browning (1812 - 1889) was an English poet and playwright. Born to supportive, educated parents with a keen appreciation for the arts, he was a bright and eager student who loved and wrote poetry before ever reaching his teens. Recognition and publication were a long time in coming; though Robert's dramatic monologues are today considered brilliant and he is recognized as one of the 19th century's most prominent poets, he endured much criticism during his lifetime. He fell in love with fellow poet Elizabeth Barrett and, against her father's wishes, they eloped to Italy and remained there until Elizabeth's death. Lovely. Would that we all took our place in silence and on bended knees. This has been a favourite poem of mine for years. I never knew where it came from. Oddly enough I have never seen it in a poetry book and cannot understand why not. Thank you so much for printing it for us. I taught a year in Pippa Passes, KY, at Alice Lloyd College. Thanks for the memories. Any poet who could create the monster whose monologue begins: 'That's my last Duchess, painted on the wall...' also knew a bit about the darker side of human nature! Great, and still underrated poet I think. I love this poem, always have. I didn't know about the play Pippa Passes. I will have to look that up. Thank you for this one.